In their first ground-up residential project, Roman and Williams designed a seven-story condominium building in the heart of NoLiTa, one of New York’s most vibrant neighborhoods. 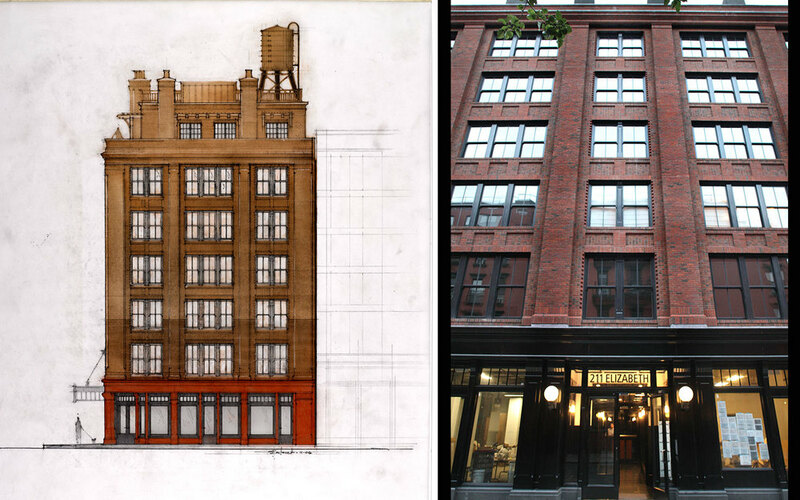 At first glance, the building blends into its historic neighborhood, but a closer inspection reveals brick details and wood double-hung windows that stand out. Roman and Williams chose to reject modern construction trends in favor of a more traditional approach and hired a family of Irish masons to lay the handcrafted brick façade of the building, a decision that won the building and the firm the 2010 Palladio Award. In addition to the base building, the project includes all interiors, as well as ground-level storefronts. 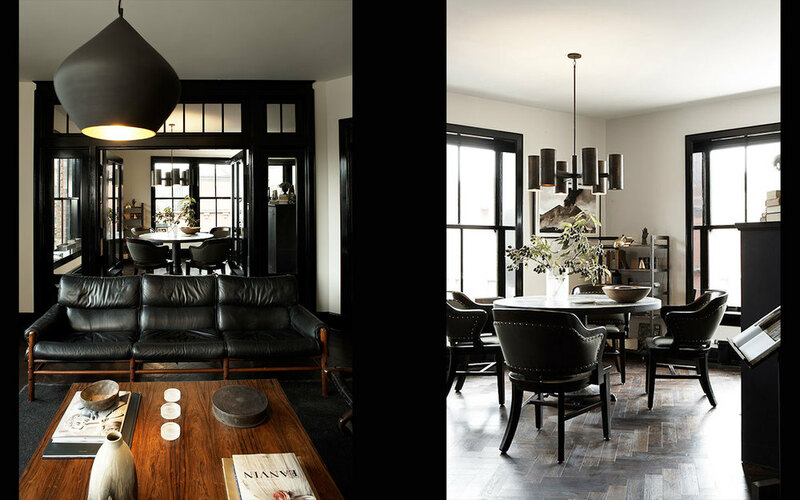 The interiors feature contrasting Danish wood kitchens trimmed with high gloss black paint. 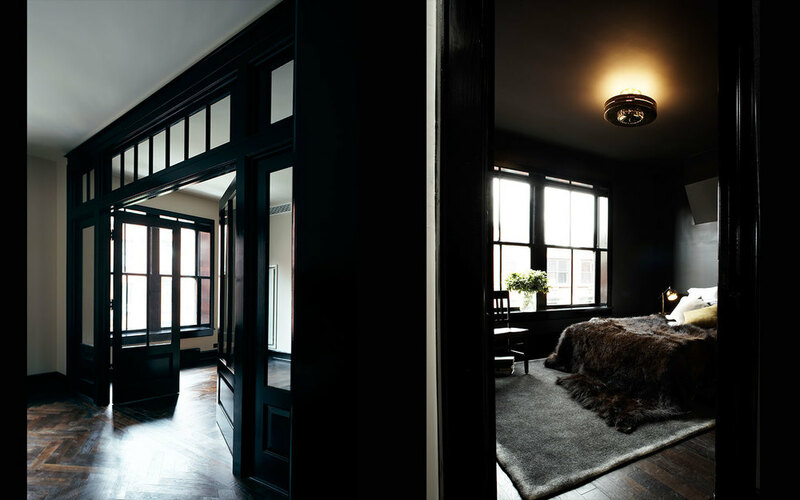 The firm’s goal is the design of this building was to create a building with a sense of materiality, rigor, craftsmanship and construction that speaks to the heyday of New York City residential construction of the late 19th and early 20th centuries.